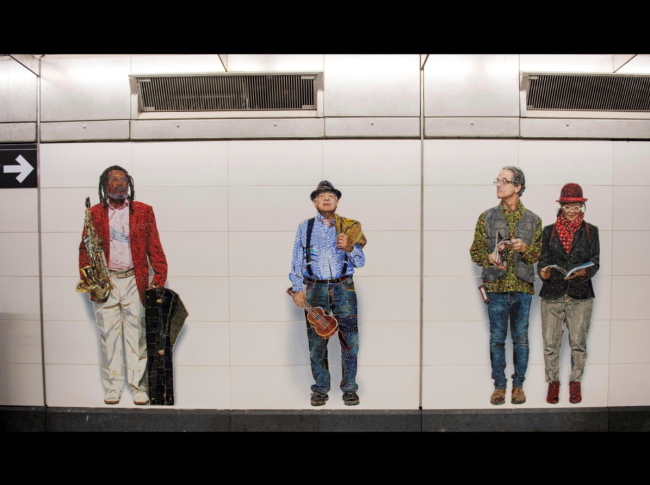 NEW YORK (AP) -- A subway line opening in New York City next year will have walls decorated with artworks by four celebrated contemporary artists. Democratic Gov. Andrew Cuomo made the announcement about Manhattan’s Second Avenue subway line Monday at the Museum of Modern Art. The line opens Jan. 1 and will have four stations. Each station will display ceramic-tile or mosaic pieces by one of the four artists: Chuck Close, Sarah Sze, Jean Shin and Vik Muniz. Sze’s designs feature objects including trees, birds and scaffolding. Close made portraits of cultural figures including artists Kara Walker and Alex Katz. Muniz created life-size figures of everyday New Yorkers. Shin produced images of the old Second and Third Avenue elevated subway. The Second Avenue subway line is slated to eventually expand north into Harlem.